The Learning Studio Bug: Let Your Fingers Do The Walking! Whew! My little hands have had themselves in the mix lately! Some say "Busy Hands = A Happy Heart". Keeping busy here, to say the least. 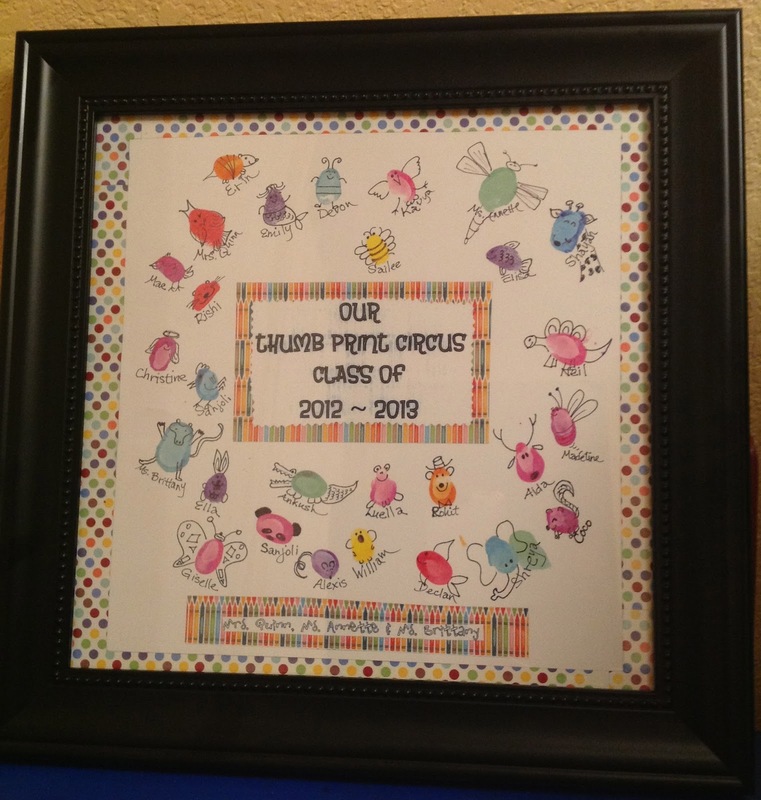 I've bid farewell to my little ones and here is our class circus. 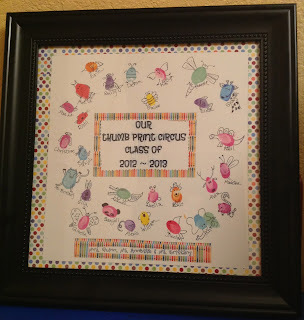 For each little one that has graced my beloved classroom throughout the school year, I've imprinted their little thumb smudges in joining our Thumb Print Circus using various colors of glitter paint. I came across this idea in Ed Emberley's Fingerprint Drawing Book. Thanks Ed! Afterwards, I embellished them a bit with some characteristic details pertaining to their personal affinities for animals and whatnot. copied a smaller version and distributed them to each child's family in Year-End Thank You Cards along a picture book gift.